Does that title seem odd? I suppose they do to me also. However, to our not-so-little London they are two things that she is learning to love. Our baby girl is turning eight tomorrow. 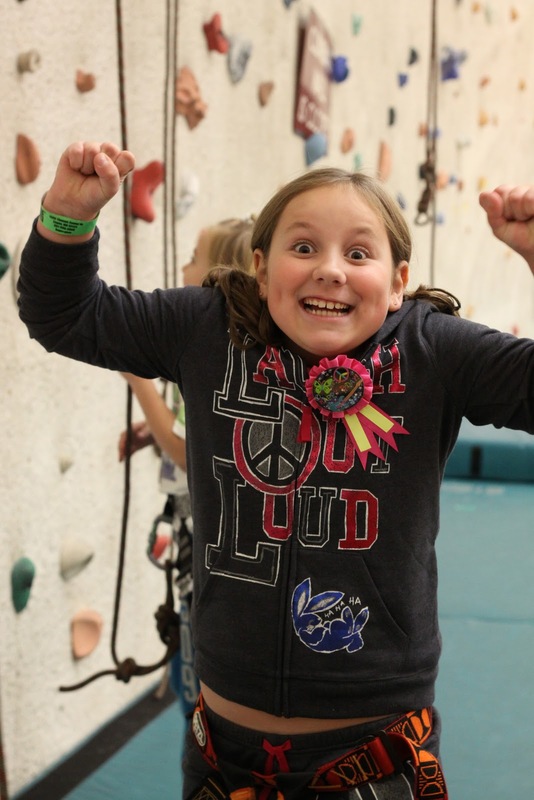 This past weekend, she celebrated with her friends at Life Time Fitness. She had an incredible time! From the moment we walked through the door, the staff made her feel incredibly special. She was greeted by a sign with birthday greetings. The inside of the cupcakes were rainbows. I will post later about the creation of this little masterpiece. She was thrilled! I can't begin to explain to you how excited she was at this party. At one point, I thought she might cry...tears of overwhelming joy. There were three separate location where they had posted signs announcing her birthday. The party coordinator ended up being a friend of mine. It was a surprise to both of us! The kids colored while they waited for all of the guests to arrive then it was time for rock climbing and gym games. 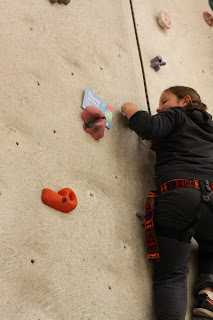 About half-way up the rock wall, there was a certificate for London to receive a free birthday smoothie. She was determined to make it that far. 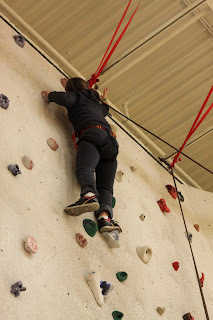 She repelled down the wall right after she got to this point. Then a bit later, after her friends had all had their turns, she decided she needed to make it to the top. So, with a little encouragement from her friends (them yelling, "London, London, London..."), a bit of help from Tammy and a lot of determination, she achieved her goal of reaching the top and ringing the bell!!! This was, beyond the shadow of a doubt, the best birthday party we've ever had for this little girl. We've used several different venues from Chuck E. Cheese's to our community center. No other location has ever made her feel this incredibly special. 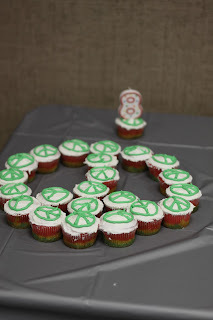 Birthdays are a BIG deal in our house. Thank you Tammy and the staff at Life Time for making London feel like a big deal! Happy Birthday precious girl! Daddy and Mommy can hardly believe that we've been blessed with you for eight years already. You keep our lives an adventure and we wouldn't trade even one minute of it! We love your determination. We love your zest for life. Mommy loves to sing with you. Daddy loves to play soccer with you. You, our sweet daughter, are truly a blessing to our family. We give thanks for you every day!